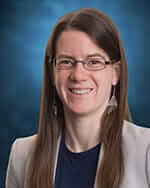 Lindsay McGivern is an associate lawyer at Pacific Medical Law. Lindsay obtained her law degree from the Dalhousie University – Schulich School of Law in 2014. She was called to the bar in 2015. Lindsay’s practice focuses on representing individuals who have suffered injuries as a result of medical malpractice. Lindsay articled at a civil litigation defence firm before moving to Pacific Medical Law. Working on both sides of civil litigation has allowed her to have a broader perspective and given her a better understanding of the different approaches taken by plaintiff’s and defence counsel.